The Nutritionist/Health Educator is a certified Arthritis Foundation Exercise Program Leader. Arthritis exercises classes are free, ongoing, and open to the public. They are offered on Mondays, Wednesdays, and Fridays. The Health Center helps provide training opportunities and assistance to Tobacco Free MO Youth programs in participating schools. Students trained in Tobacco Free MO Youth educate their schools and communities on the dangers of smoking and secondhand smoke through classroom, community, school board, and legislative education and presentations. Nutrition and health education services are provided as requested. Materials are provided for the annual Bollinger County Resource Fair, and Bollinger County Fair. ​Representation is provided for school wellness meetings and various other educational events as requested. The Health Educator presents regularly at Woodland 8th Grade Health Class. The Health Center’s automated sign and Facebook page are also utilized to disseminate information. Health screenings such as cholesterol, blood pressure, tuberculin, AIC and glucose levels are routinely administered. Vision and Hearing screenings are available upon request. Qualifying children are given a lead assessment or test. Additional available testing includes: pregnancy testing, and STD/HIV testing. The Show Me Healthy Women program helps detect breast and cervical cancers in their earliest stages, when the diseases are easiest to treat. Free mammograms and Pap smears are available for women age 35 and older who meet certain guidelines. Call 573-238-2817 for 866-338-2817 to learn more. 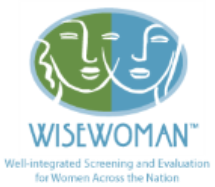 The Wise Woman program provides free cardiovascular and diabetes screenings and lifestyle education for low income women ages 35 and older to help reduce their risk of heart disease, stroke and diabetes. This service is offered to women who participate in the Show Me Healthy Women program. For more information, and to find out if you qualify, please call 573-238-2817 or 866-338-2817.